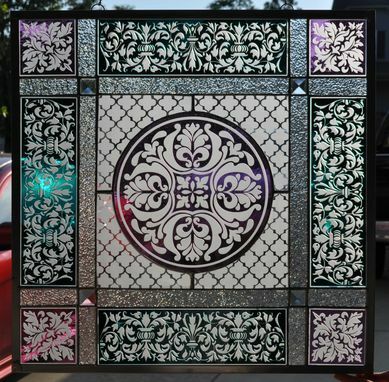 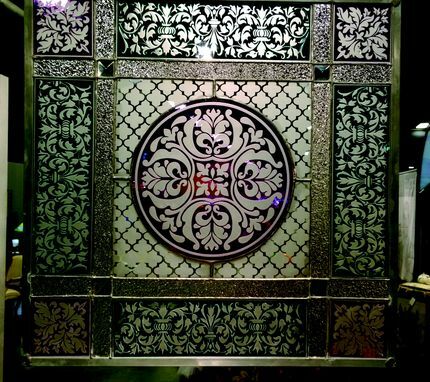 This one of a kind sand-carved panel is made out of mouth-blown German-made flashed glass. 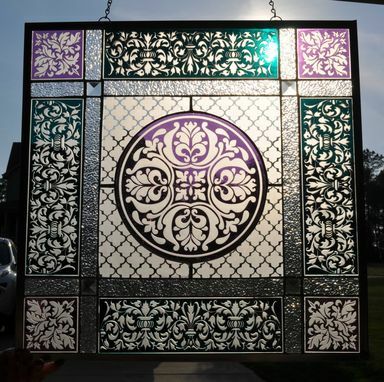 The violet glass color is enhanced by addition of actual gold to it in the glass making process. 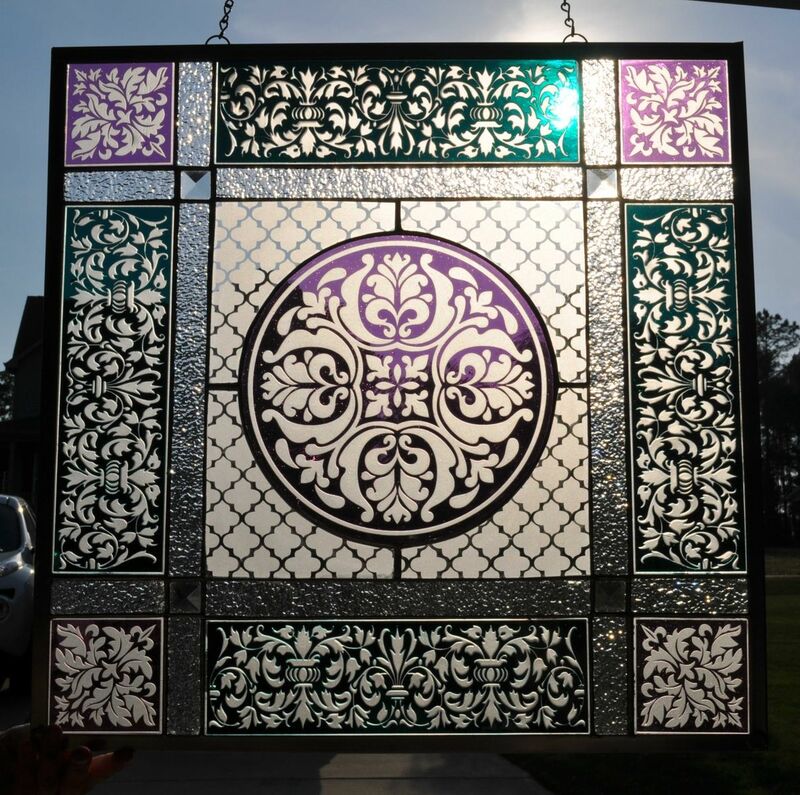 The exquisite detailed pattern and texture combinations make an impression of lace, while the colorful glass lights up the room with splashes of color all day long.